Nechochwen has actually been around for quite a while, starting originally as a neofolk solo project. However, their second album, Azimuths to the Otherworld, introduced heavier guitars and vocals. 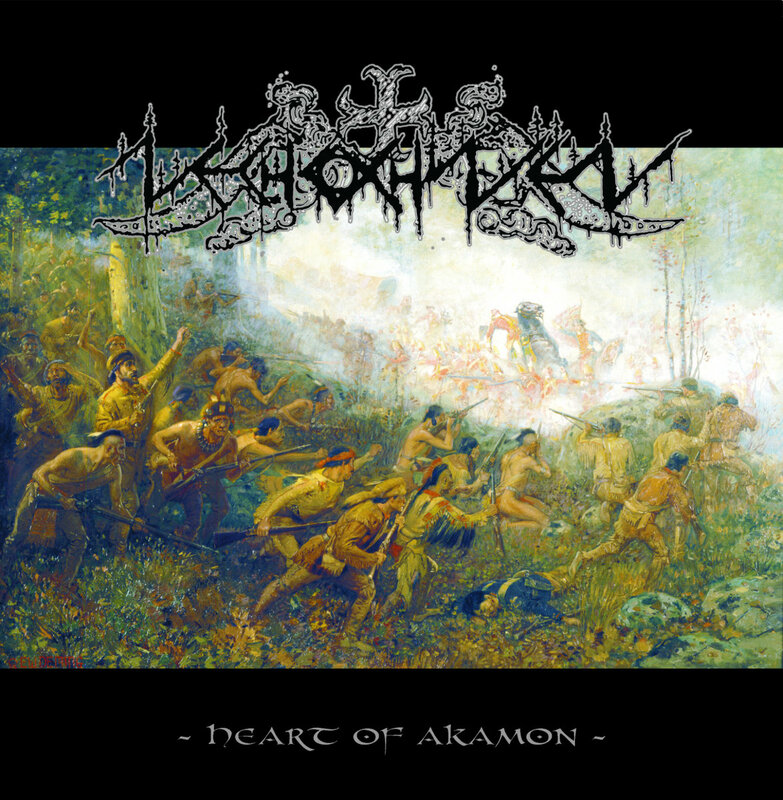 Heart of Akamon is the final realization of this slow shift towards atmospheric black metal, and it is an album with lots of variety and a few pretty heavy songs. The riffs and vocals can hit pretty hard, and you can tell that they really tried to make as intense of an album as they could while maintaining some of the aboriginal-inspired neofolk from their previous albums. The result is a strong album with lots of variety. Most of the album is a synthesis between the neofolk and black metal sections, rather than separating them into different songs or simply using them as bookends on each song. This is the same approach that the last Panopticon album went for to great success, although Nechochwen is more neofolk focused than black metal focused. The acoustic sections are extremely well done, featuring some unique sounds including lots of flute. A good example of their approach is Traversing the Shades of Death, which begins with an extended neofolk section, and about half way through the song bursts with vocals and guitars. However, the same acoustic music still remains in the background throughout the whole song, still shifting and matching the pace of the song. The way they’ve really worked to intertwine the acoustic and the electric is great, because the album remains grounded in that Nechochwen sound. I feel that this really strong focus on bringing the neofolk elements into the black metal is what helps this album remain a Nechochwen album, rather than sounding like just another neofolk black metal band. Obviously, there will be comparisons raised between this album and Panopticon. I have done it myself. But I think that the comparison, while valid, does not detract from Nechochwen. I don’t hear an attempt to imitate Panopticon nor a thoughtless attempt to bring in black metal elements just because. Sometimes, Heart of Akamon comes out with some really great metal. Look no further than Skyhook, which comes after a couple of the albums softer songs. Skyhook starts with this amazingly catchy riff that you can’t help but headbang to. In fact, it doesn’t even sound like something that should belong on a black metal album it’s so glorious. But even with this song, they still manage to remain controlled and draw on that deep well of neofolk music. The last track on the album does something similar, but inverted. The song starts with a purely folk introduction and out of nowhere brings in the most crushing guitar heard on the album. It’s a really heavy finisher. Overall, this album is more neofolk than black metal, so if you are looking for a heavy black metal album, you’d best steer clear of this one. Nechochwen are known for their folk instrumentals and they stick to what they know. But the way that they have brought in the black metal elements is successful and I can see them continuing to do so in the future. While the Panopticon references will be made, I think Nechochwen has managed to remain true to themselves and defined their own sound. This album is outstanding. One of the few atmoblack albums this year to catch my attention. I doubt it will win out over Panopticon next month. But hell, just to get me to enjoy atmoblack is a great achievment.